From pearling to war. Is there any way home? 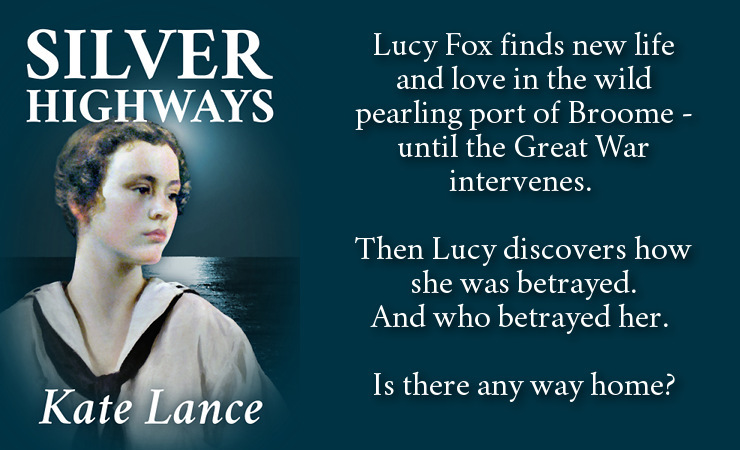 Curious young Lucy Fox is sailing to Melbourne in 1906 with her family when a tragic landfall leaves her future entangled with the lives of three sailors: gentle Sam, cynical Danny and beautiful Gideon. 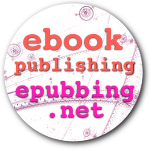 Lucy is befriended by Sam's mother Min-lu, who guides her into a new world of trade in silks and spices and the luminous pearlshell of Broome, a place where breaking the rules is a way of life. With the coming of the Great War everything changes. And afterwards, when peace has returned for everyone else, Lucy must reconcile her long-lost passion with the discovery of a bitter betrayal. 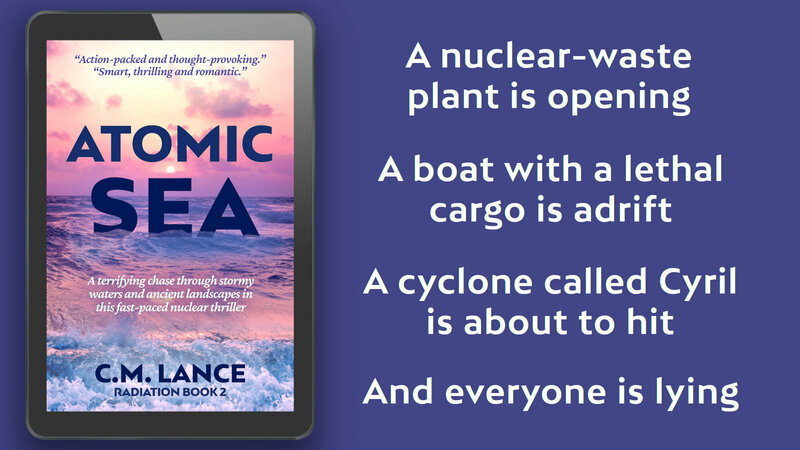 Atomic Sea by CM Lance is a contemporary thriller set in Australia, published in 2016 by Seabooks Press. Some characters appear earlier in The Turning Tide. 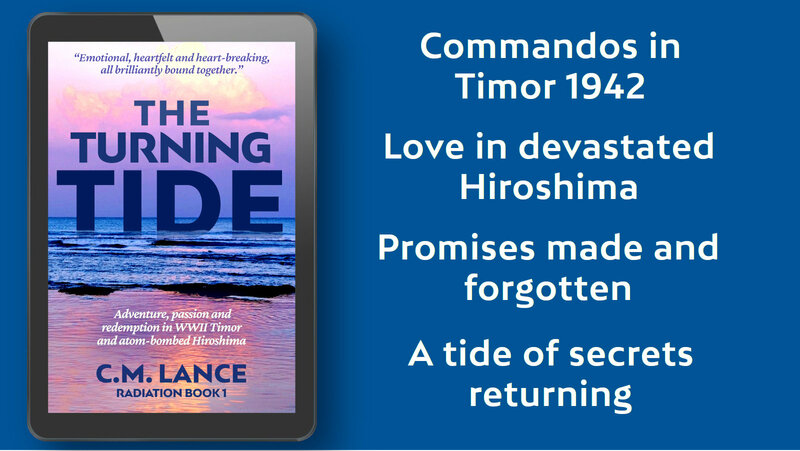 The Turning Tide by CM Lance is a drama set in Australia and Asia, published in 2014 by Allen & Unwin. Some characters appear in later years in Atomic Sea. Alan Villiers is a biography by Kate Lance, published in 2009 by the National Maritime Museum, UK. 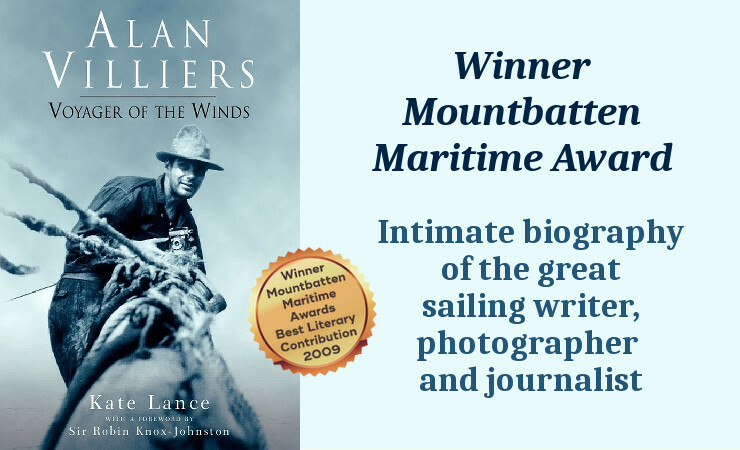 It won the Mountbatten Maritime Award 2009 for Best Literary Contribution. 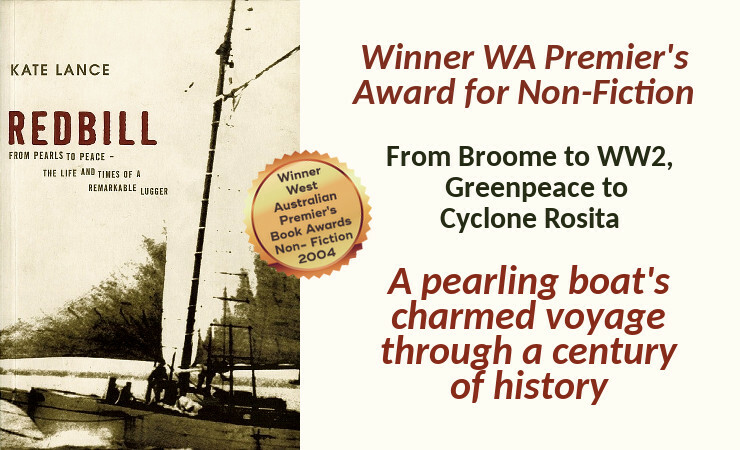 Redbill: From Pearls to Peace is a maritime history by Kate Lance, published in 2004 by the Fremantle Press. It won the Western Australian Premier's Book Award 2004 for Non-Fiction.